As I peer over the edge of Bryce Amphitheater, the ghostly figures marching in the mist of an afternoon shower haunt me. Hoodoos, the rock formations that resemble draped human forms, dominate the landscape in the highest concentration in the world at Bryce Canyon National Park. Coupled with an audience of young evergreen pines dotting the landscape, Bryce Canyon National Park offers dramatic hiking, cozy cabins and horseback rides that families will rave about all the way home. Explore Southern Utah’s geologic technicolor show where the delicate pink of a sunrise rusts into vermillion then fades into sunset orange. 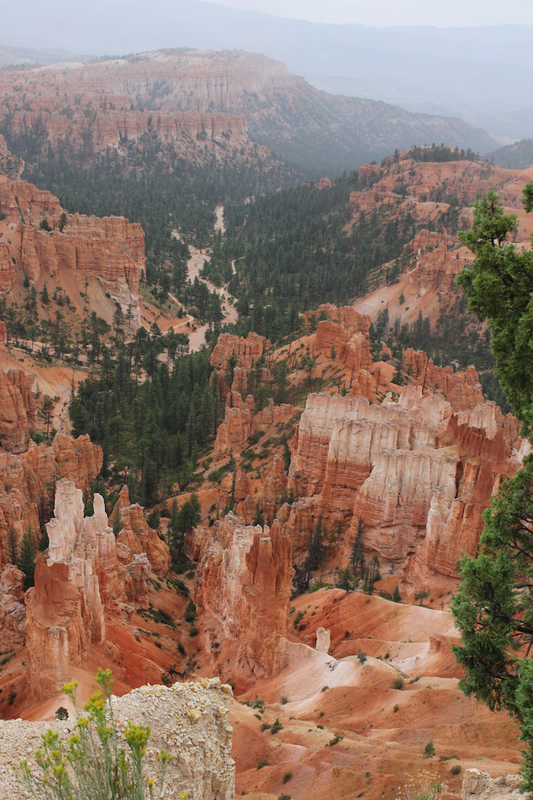 Bryce Canyon National Park offers expansive views at every turn of the head. The Paunsaugunt Plateau’s dramatic scenery is a hiker’s dream and draws visitors from around the world. 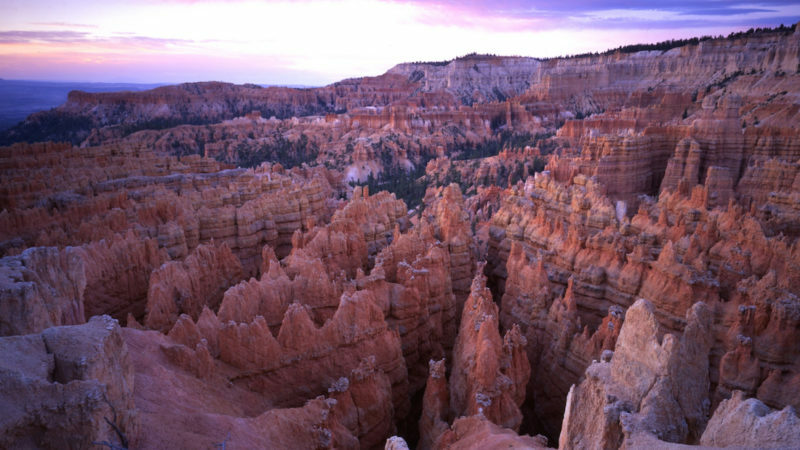 Bryce Canyon started as an inland sea approximately 40 million years ago. Then, 20 million years ago, the Colorado Plateau began to rise and dry out. 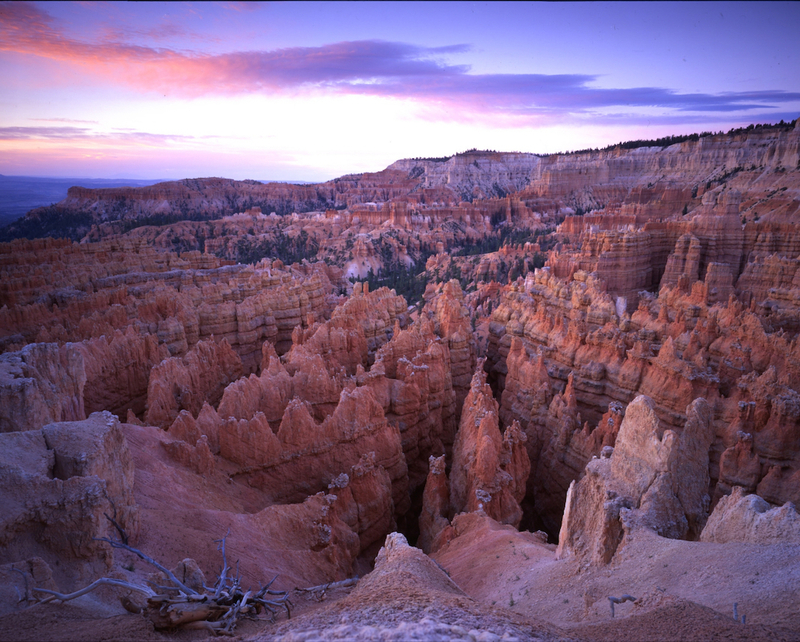 The rainbow-colored layers of the limestone found in Bryce Canyon National Park actually represent different eras of time. Located on the top portion of the Grand Staircase, a sequence of sedimentary rock layers in northern Arizona and southern Utah, the canyon offers a geologic survey where 525 million years of history is displayed in exposed rock. Where Grand Canyon National Park represents the bottom of the Grand Staircase, Zion National Park offers a glimpse of the center. Ebenezer Bryce, a Mormon pioneer and Bryce Canyon’s namesake, settled in the area and at times seemed obvious to its haunting beauty. First protected as a national monument in 1923, Bryce Canyon National Park earned its national park designation in 1928. During my last visit, I didn’t have much time to explore, so I headed to the rim overlooking Bryce Amphitheater first. 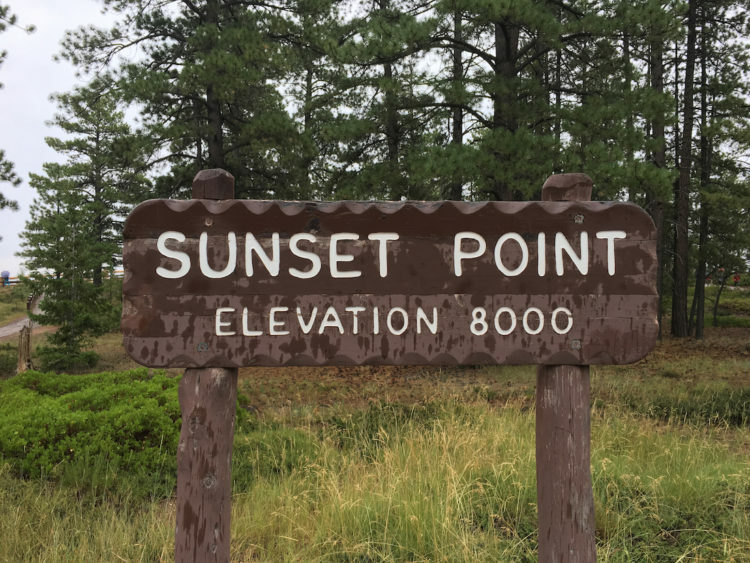 I walked along the rim trail from Sunset Point to Sunrise Point, a must-do while visiting Bryce Canyon National Park. 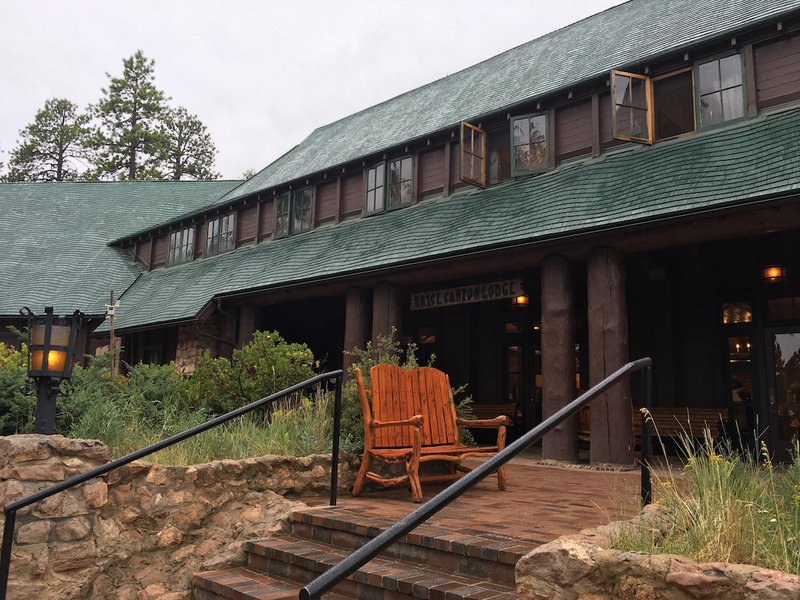 Next on my list, I walked over to the Bryce Canyon Lodge for a peek inside of the historic park building. Inside I found a lobby full of guests mulling over maps, a large gift shop with souvenirs and local items, a restaurant and a ballroom that holds ranger programs during inclement weather. After exploring the Sunrise and Sunset Points, I headed for Inspiration Point. It’s close by and another not-to-be-missed overlook of the Bryce Amphitheater. For more adventurous families, the Navajo Trail offers an up-close look at Bryce’s Amphitheater’s rock formations and slot canyons. It starts at Sunset Point and is a 1.3-mile moderate trail into Bryce Canyon. 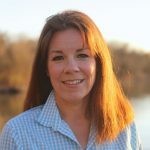 For older kids who love an adventure, explore Bryce Canyon by horseback with a one-and-half hour guided tours that take small groups to Fairy Castle and back. A three-hour tour explores the Peek-a-Boo Loop by horseback. With its remote location, Bryce Canyon National Park features night sky programming. The park’s dark sky rangers, who specialize in the night sky, host programs to introduce visitors to the night sky beyond the naked eye. Outfitted with high-powered telescopes, dark sky rangers point the viewfinder on the Milky Way and the nursery nebulae. During full moons, dark sky rangers guide visitors through Bryce Canyon for moonlit hikes. Bryce Canyon National Park hosts two festivals during the summer–an Annual Astronomy Festival in June and an Annual Geology Festival in July. 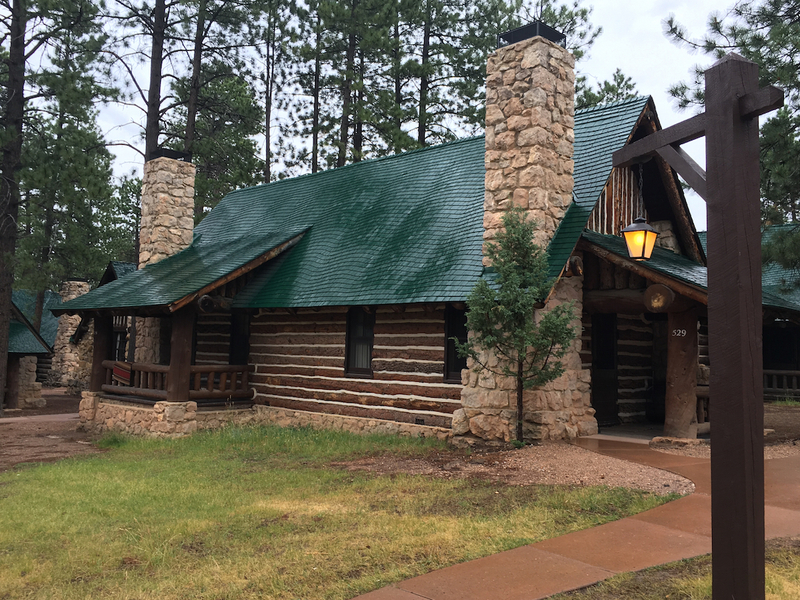 For lodging in the park, the rustic Bryce Canyon Lodge offers rooms in the 1925 historic lodge listed on the Register of Historic Places. The Bryce Canyon Lodge features a restaurant, a pizzeria along with lodge rooms and a few suites. For guests looking for more space, western cabins can be reserved that offer rustic elegance in a more private setting. The western cabins are located steps from the canyon edge and the lodge. The Junior Ranger Program is the go-to program for families to learn more about Bryce Canyon National Park. It’s free and takes about two hours to complete. In a tiny ceremony for each new Junior Ranger, Park Rangers present the coveted souvenirs after kids complete their booklet. My kids have collected the patches and badges for years. Bryce Canyon National Park is located approximately 270 miles from Las Vegas, Nevada, to the south and 270 miles from Salt Lake City, Utah, to the north. Both cities offer international airports. Enter Bryce Canyon National Park via Utah Route 63 off of Utah Route 12, a national scenic byway. Bryce Canyon National Park offers a contrasting landscape to neighboring Zion National Park, 85 miles away. The North Rim of the Grand Canyon is 158 miles from Bryce Canyon National Park, another popular national park destination. Bryce Canyon National Park is open 365-days a year and 24-hours a day. Use an America the Beautiful annual pass ($80) or purchase a 7-day pass for $30 per private vehicle. Bryce Canyon National Park offers a free seasonal shuttle bus that departs from the visitor center every 15 minutes. It stops at the lodge, the campgrounds and Sunrise, Sunset, Bryce and Inspiration Points. Bryce Canyon has frequent thunderstorms during monsoon season, June through August. For your safety, when thunder roars, head indoors. 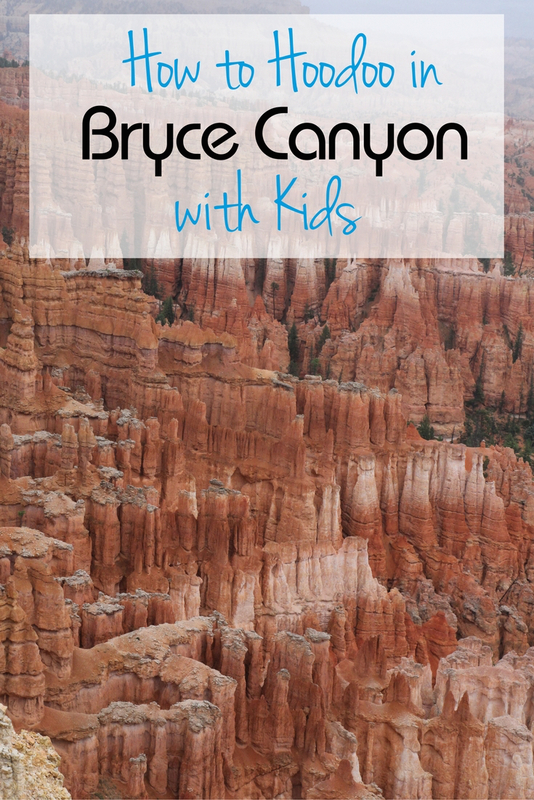 Bryce Canyon doesn’t have a partial fence around the canyon like Grand Canyon, so keep the kids within arms reach. Seasonal road closure can occur during the winter. Bryce Canyon Visitor Center is closed Thanksgiving Day, December 25 and January 1.